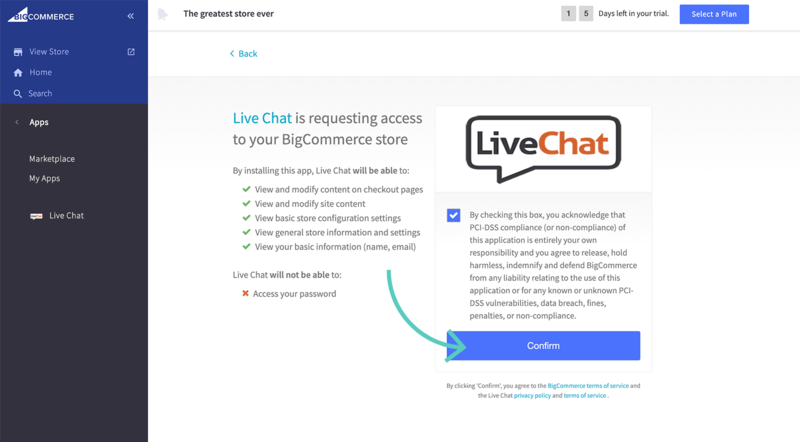 BigCommerce LiveChat | BigCommerce: add a chat to your store! 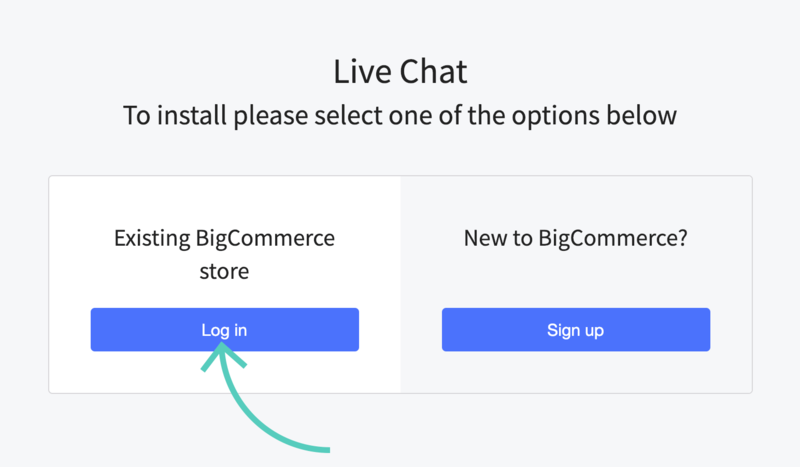 Installing LiveChat on your BigCommerce store is quick and easy. 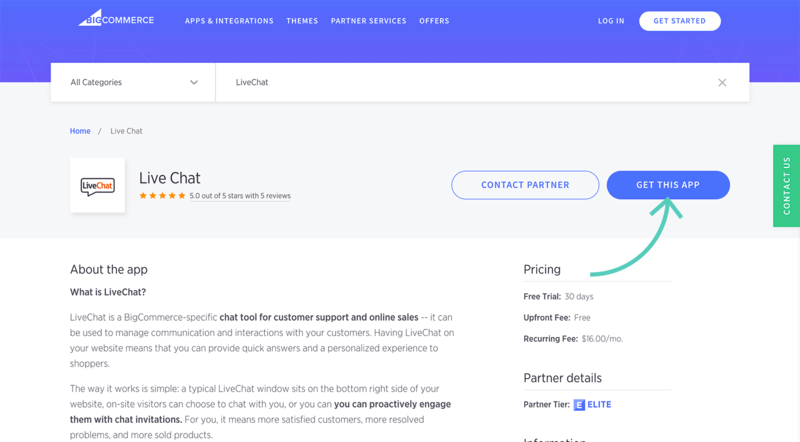 Once installed, you can chat with your customers right away. Guide your customers towards sales in a real-time conversation, right on your website. 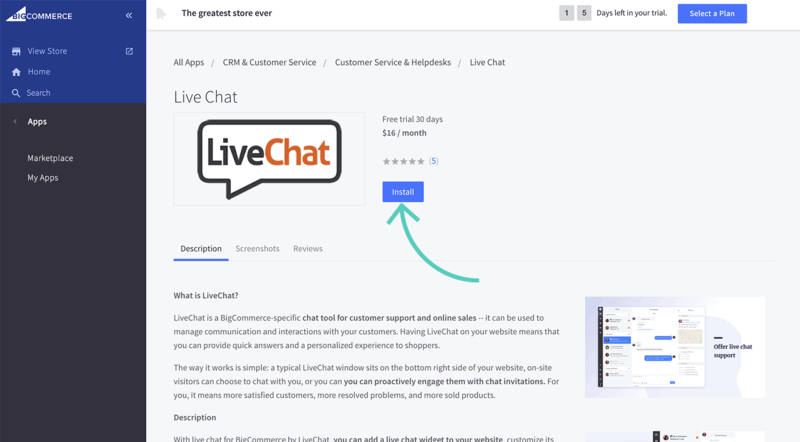 Install LiveChat on your BigCommerce store. 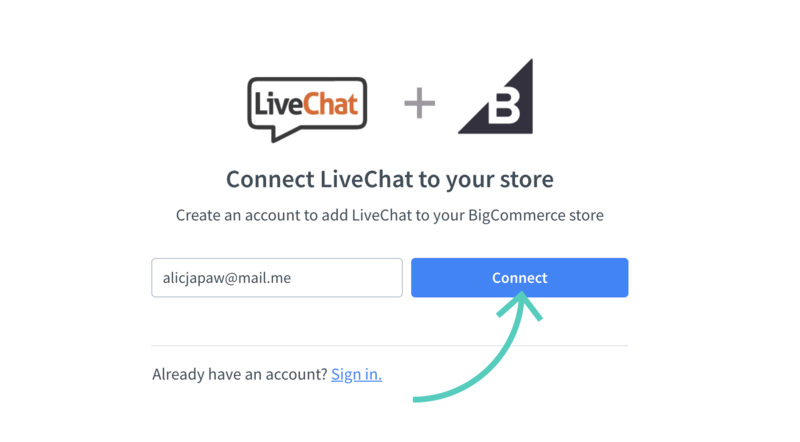 Let other BigCommerce users manage LiveChat. First, log into BigCommerce and switch to the Apps section. 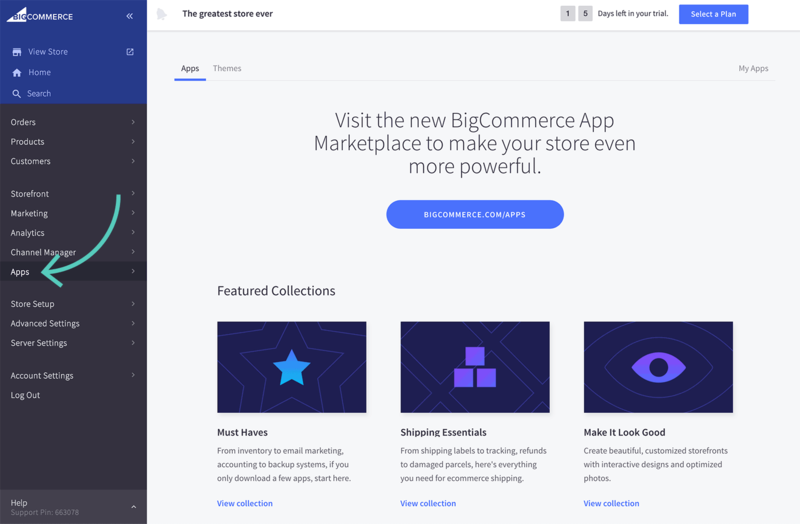 Then, go to BigCommerce App Marketplace. There, type LiveChat into search and choose LiveChat from the list of Apps. On the page dedicated to LiveChat application click on Get this app. Next, click on Log in. Your LiveChat app is now ready! 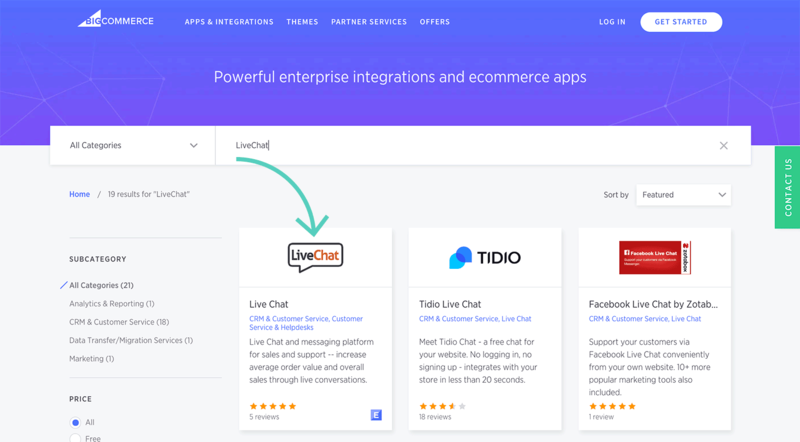 All you need to do is click on Connect to create a new LiveChat account and connect it to your BigCommerce store. If you already have an account click on Sing in and enter your LiveChat account credentials. 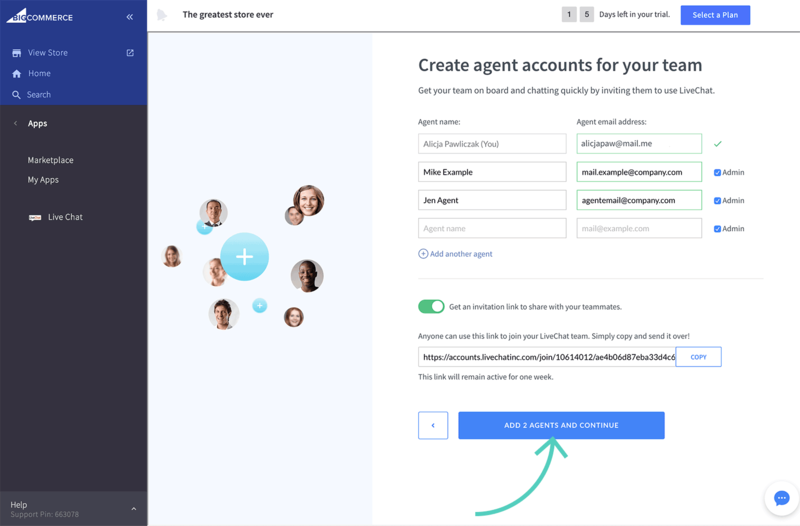 Additionally, you can add agents to your LiveChat license. If not, you can skip this step. And that’s it! The chat widget will appear on your website right away. 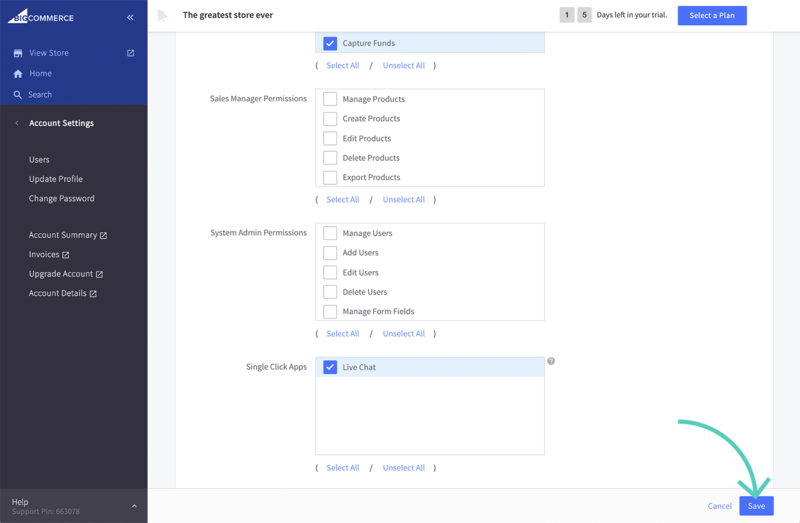 Log in to your LiveChat and start chatting with customers. Make sure you use Web or Desktop apps in your daily work. They make chatting with customers and managing your account as easy as it gets. Go to Account Settings → Users and click on the three dots icon next to the user you want to edit. Scroll down to Single Click Apps section, and check the box next to Live Chat. To finalize, click on Save. That’s it. Repeat these steps for other users that should be granted access.